It’s going to happen to us all one day. One of the inevitabilities of life is that it is eventually going to end. When it comes to your finances, some might take the nihilistic approach that gathering wealth doesn’t matter in the grand scheme. Realists, however, realize that when they pass they keep having a huge impact on the lives of those around them. Their finances can play a big role in that, for better or for worse. They also realize that the sooner they get the ball rolling, the better. One step that everyone should take now if they’re able, is to get themselves a life insurance policy. Without life insurance, the costs of dealing with your funeral and all the other arrangements that have to be made after you pass will be taken out of your estate or even passed on to your family. You don’t want to be a source of even more loss to them after you’re gone. You might think it’s only older people that have to worry about life insurance, but it can be a lot cheaper if you get a start on it earlier. When you’re older, you’re also more likely to have health issues that can limit your life insurance choices further down the line. Take care of it while it’s still easy. Writing a last will and testament is crucial, as is keeping it updated every time your assets undergo a change. But it’s not enough to have just a will. The process of having it executed is a length one with a lot of legal requirements to be fulfilled. A will has to be proven in the eyes of the law to be the legitimate document that it is. Things like creditors and their rights to any assets or wealth mentioned in the will have to be sorted, too. An executor, like probate lawyers from IRB Law, is worth getting on your side early. The sooner you have someone informed and prepared about your will, the smoother they can make the process for your loved ones. Otherwise, arguments over the execution of the will might even cost the whole worth of it. To make it even smoother for your will to be executed, you should have a whole estate plan ready. Much like finding your net worth, make an inventory of all your physical items, non-physical wealth, credit cards and debts. If you’re part of any organizations like alumni or charitable groups, list them too as many of them have benefits to offer your loved ones. Look at other accounts like your IRA and 401(k) too, to make sure you’re still happy with your selected beneficiary listings on the documents. Regardless of what a will states, those listings take precedence. It’s a good idea to organize your estate at least once a year. It’s worth getting your estate in motion now rather than later. Not only do you get peace of mind sooner, but it will cost less and be worth more to get it done now. Once out of college and dropped into the world of adulthood there are a lot of things that you have to face, even if you don’t feel ready to or didn’t expect to have to for many years, if you don’t want to find yourself in the midst of a financial fiasco. Life after education can seem daunting, what with aspects such as buying a home for the first time, establishing a career and forming a family on the horizon, so it’s important not to add any problems in the form of financial problems. First and foremost, you can’t be afraid to face some difficult financial aspects that you may deem to be slightly morbid. For instance, if you find yourself prospering financially shortly after college, no matter what age you are, there is no harm in writing out a will in order to ensure that the finances and assets that you have managed to accumulate go in the direction you would want them to after your passing. Writing a will can be a daunting, and sometimes upsetting task so it’s important to seek as much professional and personable assistance with as possible, such as those found in the services offered at Gillard Lawyers. Although this may seem to be something that is done only by people a lot of older than yourself, it is never too early to protect yourself financially; even those that are just starting out in the world of adulthood in their twenties should write a will if they have people and assets to protect. And if you do want to go back to school, first of all you shouldn’t do so just to recapture the ‘good old days’ and should only do so if it’s going to better your career, and second of all you shouldn’t do so if you haven’t got your finances sorted. Seeking further education can be a very costly procedure and the decision to seek it shouldn’t be taken lightly. Financial Errors Which Will Affect Your Kid’s Future! It’s so important that we teach kids about the importance of finance as they are growing up. That way, we can feel assured they will go on to have debt-free lives in the future. And our children tend to follow in our footsteps, so we need to be good role models for them. As well as ensuring we leave enough money for them to have great lives, even when we aren’t around anymore. Therefore, don’t make these financial errors which will affect your kid’s future! Before you take money out of your savings account, you need to think carefully about whether it’s the right decision. After all, its money which could be going towards your child’s future. And you don’t want to look back and regret wasting money on meaningless things. After all, it’s so easy to keep taking money out of this account when you need to buy things for your family. But for the sake of your kid’s future, only spend savings if you really need to. Otherwise, rely on your current account and keep your savings safe for the future. We often can get swept up in the moment when looking at a great house. And rather than thinking about the costs, we consider how perfect it will be for our family. But you don’t want to end up wishing down the line that you never bought the house as the mortgage repayments are too large. In fact, you might get in a position where you think ‘I need to sell my house fast’. After all, it’s so easy to get into debt if you miss a couple of repayments and then you might end up in the position of getting the house taken off you. And then your child’s future will be in jeopardy. Therefore, always think carefully before taking on a large mortgage. Get financial advice first to ensure you are making a wise decision when buying property. A lot of people don’t get life insurance. They think they won’t need it as they are young, and the payments are too large. But if something happened to you, and you have no life insurance cover, your children might end up with little money for their future. After all, most life insurance plans will pay out a significant sum to you family if something unexpected happened to you. And that money will help your kids to continue having a good life. Therefore, you need to ensure you are covered for the sake of your child’s future. And for the sake of your kids, make sure you get a will too. After all, this will ensure your wealth and estate end up in the right hands after your passing. And as we said before, without one, your inheritance might not match your personal preference. Therefore, get this sorted at a solicitors as soon as possible. And make sure you set up an account for your kid sooner rather than later. You can put money in there which they can use when they are old enough to put towards things like college and their first home! Scientists and technology gurus are coming up with incredible advances that are changing the face of modern medicine year on year. However, we’re all still mere mortals, and aging is inevitable. It’s healthy to live by the carpe diem mantra, and focus on the present, but that doesn’t mean that you can’t look ahead. When you’ve worked hard for years, you want to be able to protect your money and assets, and create a nest-egg for your children and grandchildren. Here are some ways you can future-proof your finances. There may come a time when decisions need to be made, and you’re not capable of doing this. In this case, your legal rights and choices should be respected. If you make a will, this is not just about leaving instructions for who receives what when you pass away. A living will also gives you the opportunity to give your next of kin information about what you want and how you want to be treated if you’re no longer able to make the important calls. Many people think of a will as a document that is only required by old people or those in poor health. However, it’s advisable for everyone to make a will. If you have possessions, money in the bank or business assets, this is a way of ensuring they are passed onto somebody who deserves them. If you don’t make a will, there are procedures in place, which determine who will inherit your estate, and the legal way of processing the inheritance may not match your personal preferences. If you’re thinking of making a will, click here to see what a solicitors can do for you. Have you got critical illness cover or life insurance? If not, it may be time to consider your options. Unfortunately, nobody knows what’s around the corner. You may be absolutely fine one day. The next week, you may find yourself with life-limiting injuries. Life is unpredictable, and it can often be cruel. It’s not possible to prevent some accidents and injuries. However, it is possible to prepare for the future and protect yourself and your loved ones from financial ruin. If you take out insurance, this provides a nest-egg for your family in the event that you pass away or you develop a serious illness, which prevents you from working. You can compare insurance providers and policies online. The process takes minutes, and it will give you peace of mind, as well as financial protection. Every year, we read about incredible advances, which are saving lives all over the world. However, there’s no universal cure that fights every disease, and for now, none of us are immortal. It’s sobering to think of days when we might not be here, but it’s important to plan ahead, especially if you have a family. You’re never too young to make a will if you have dependants, business or property assets or cash in your account. It’s also advisable to consider taking out life insurance and critical illness cover. 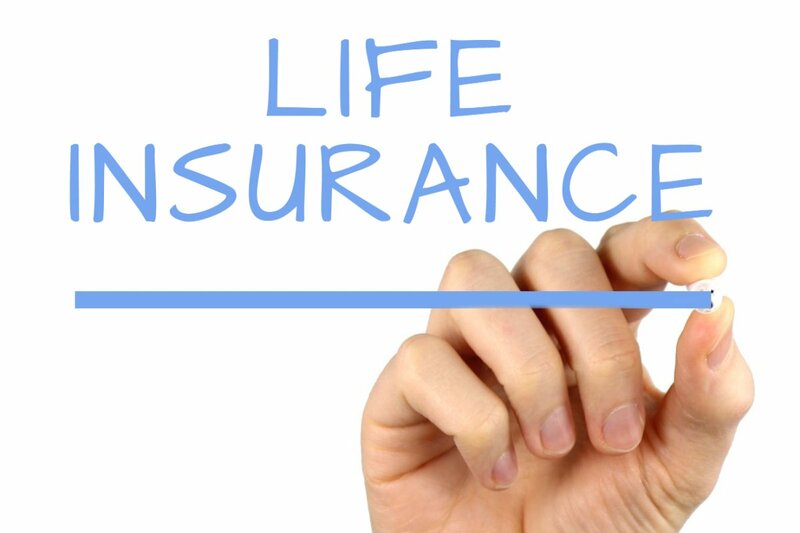 If you need to arrange some life insurance cover for one reason or another then it might seem easiest to put it off until you are in the mood to look into it. The problem with this approach is that you can end up putting it off over and over again. If you need an extra incentive to sort out some cover just now then there are some good reasons to avoid holding off too long. Here are some of the top ones which might convince you to go ahead and arrange the cover you need sooner rather than later. The main reason for arranging a life insurance policy is to give you and your family peace of mind. It would certainly be horrible to think that something could happen to you before you got the insurance policy arranged. By doing this quickly and simply online you can be sure that your loved ones are protected right away. This peace of mind is something which it is hard to put a price on and you will no doubt feel a lot better as soon as the protection is in place. One of the key features of life cover is that the premiums are lower when you are young and healthy. This means that waiting too long could result in you paying more for the same level of cover. There isn’t anything we can do to stop this and the simplest and most effective solution is to arrange the cover before the rates quoted to you go up. As you are likely to pay the premium for a good number of years it makes sense to get the lowest possible premium you can. A look at a comparison site like http://www.confused.com/ should give you an idea of how much you should expect to pay. It isn’t very pleasant to think that you might become ill in the future but it is a factor we need to consider here. You will find that even getting life insurance in the first place can be difficult following many types of serious illness. However, even if you are offered cover then it is likely to be at a higher premium than it would have been before you became ill. Of course, none of us can tell when illness is going to strike us and this means that we simply need to try and get our life cover in place and protecting us before anything which could affect our chances of getting it at a good price.